Here at the sun report, we are ready to break down all your sun protection options. 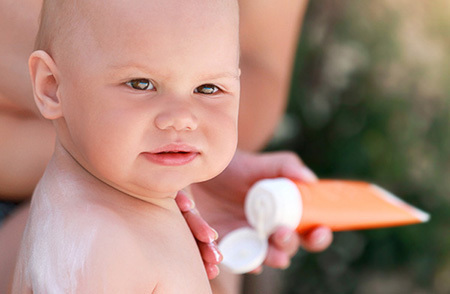 While there are a variety of different sunscreens for adults, babies have much more limited options. Babies need serious sunscreen to prevent exposure. It is recommended that before the age of 6 months they need to avoid the sun all together. Avoid the sun isn’t always an option and that is when you need a serious sunscreen that is sensitive on the skin.After scouring the shelves and internet for hours, we finally chose this product to review. It was the one non-toxic, PABA free, water resistant, and organic sunscreen option for babies. Let’s investigate further to see if this is the real deal for babies with sensitive skin. California Baby isn’t your run of the mill drug store brand. This is mineral-based sunscreen product and is just as effective as any other sunscreen despite this fact. 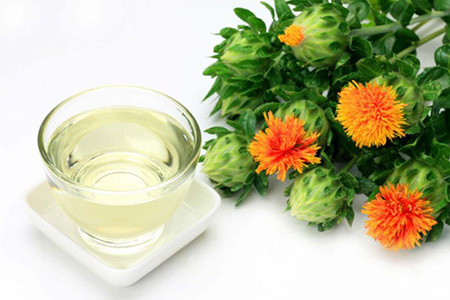 It is fragrance-free, chemical free, PABA free, and organic. There is nothing sketchy about this ingredient list. Many different products claim they are all-natural and organic, but this stuff is all of those things and the ingredient list backs up those claims. I just wanted to let you know that I took my four month old to the pediatrician this week. His doctor raved about his skin and said he had the best skin she has ever seen for a young baby. She inquired as to what products I used and I was proud to say that I used the California Baby products exclusively. Your products are amazing and my son’s skin has been perfect since I switched to your products when he was a few weeks old. Now that summer is here, I can’t wait to use the sunscreen and bug repellent products. Thanks again for making such a thoughtful and wonderful product for parents who want the best for their children! Regards, J. H.
My 2 sons are allergic to peanuts and my one son is also allergic to dairy. He was the one always getting skin rashes from shampoos and moisturizers (that I was using for his rashes). Anyway, about a month ago I was looking for a safe sunscreen with no chemicals because I recently have been reading about the awful chemicals they use in our everyday skincare and came across your web-site. I was so thrilled to see ALL the other fragrance free products you carry… really it is a wonderful line. I also use the products for myself because I have allergies and am sensitive to alot of fragrances and I am determined to find and use safer products. We have a redhead, fair skined baby and where given you sunscreen as a gift and have been useing it ever since! It works wonders on a baby that has to wear sunscreen in the south every day! Thank you very much for a great product! P.A. What is so great about this sunscreen? The only disadvantages are maybe the price and that the lotion is super thick. It is non-greasy though, whereas some products that are really thick turn out to be greasy on the skin and cause breakouts. The product says it is god for adults, but 18 SPF is not really that strong on adult skin and for the amount of sun exposure they experience. This might work better as an overcast, off-season facial moisturizer with SPF power, than a beach day stand by for adults.